seven + = fifteen Required Please enter the correct value. The recent $17 billion settlement between the U.S. Department of Justice and the subprime mortgage meltdown progenitor, Bank of America Corp. (NYSE: BAC), is the largest penalty of its kind in U.S. history. BAC was an instrumental player in this subprime collapse and needs to pay more for its indiscretions. 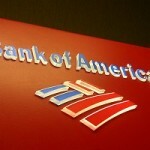 Bank of America Corp. (NYSE: BAC) stock rose slightly Thursday morning by 1% to $15.44 on news the bank is near a more than $16.5 billion settlement over mortgage-backed securities that helped ignite the 2008 financial crisis, but BAC stock has since given back those gains in afternoon trading.